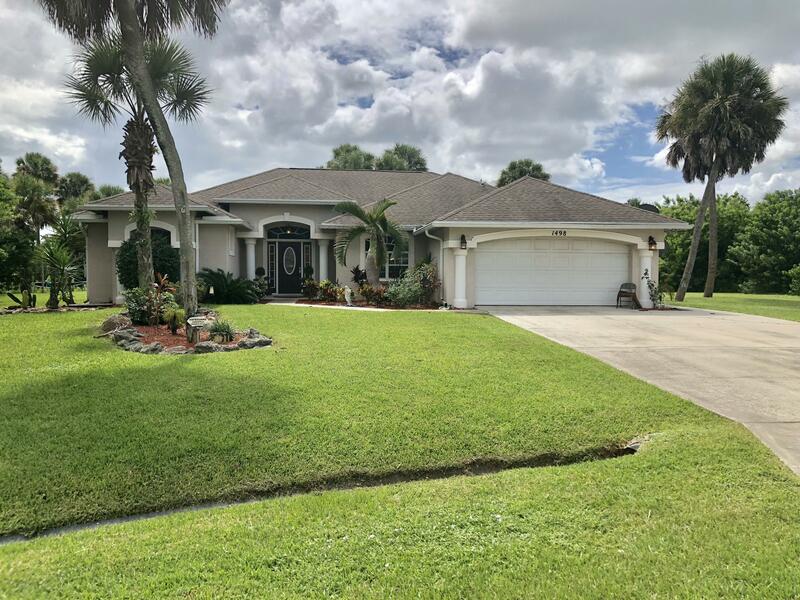 Huge 4 bedroom, 3.5 bath CBS pool home with a separate 20X25 pool house with a bar and half bath on almost 1/2 acre lot with tons of privacy. Large master suite has trey ceilings, his/hers walk in closets and a luxurious master bath. Formal living room, dining room and separate family room plus a spacious kitchen with granite counters and breakfast bar. Hardwood floors in family room and laminate in guest bedrooms. 3 sets of sliders lead to the screened pool overlooking private lot with a 14X12 shed.